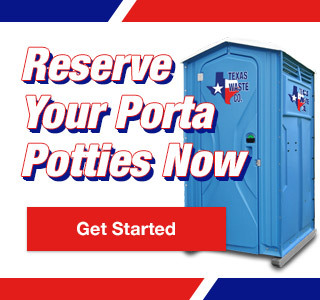 Subject to the terms and conditions stated here, TXWC agrees to furnish customer, at Customer’s designated location, portable restrooms, roll off dumpsters, and other waste and sanitation related equipment and services, as may be requested by Customer during the term of this Agreement. All equipment and services are billed at an agreed upon rate for four (4) weeks or twenty eight (28) days of service, subject to applicable taxes. Minimum four weeks rental rate assessed on all portable restrooms, hand wash units, holding tanks and comfort stations. TXWC does not prorate for unused days. Prices are subject to change upon fifteen (15) days written notice to Customer. Payment is net twenty eight (28) days from the date of invoice. Customer will be invoiced in advance for 28 days of service for a re-occurring rental or a one-time rental. All past due amounts under this Agreement shall bear interest at the rate of 1.3% per billing cycle (or at the highest rate permitted by law) from the date due until paid. Should Customer’s account be referred to a collection agency or an attorney, whether “in-house” or otherwise, Customer shall bear the costs of court and/or attorneys’ fees. Customer declares that the all credit information submitted is true, accurate, and appears in the name as stated. Authorization is hereby given to TXWC to use the credit card information provided for amounts due to TXWC on a monthly basis as charges accrue. Further, Customer authorizes its credit company to accept and to charge its account for purchases initiated by TXWC. This authorization allows TXWC to continue to use the credit card information, which shall remain in full force and affect unless the Customer revokes this authorization in writing sent certified mail, return-receipt requested to TXWC at 2800 Broadway, Suite C409, Pearland, TX 77581. Customer and TXWC agree that all service related issues and all complaints regarding nonperforming or malfunctioning goods will be communicated by emailing TXWC at info@texaswasteco.com. UNIT DELIVERY, LOCATION, AND RETRIEVAL. Delivery dates provided by TXWC are approximate. TXWC shall have no liability for failure or delay in delivery or failure to notify Customer of any delay or non-delivery. TXWC is not responsible for Customer’s failure to designate unit placement at delivery. If unit is set in an undesired area because Customer failed to designate placement area and TXWC is asked to return, the TXWC reserves the right to charge a fee of ranging from $25-$75 depending on the service location, plus fuel costs. Relocation of the unit will be performed at TXWC’s earliest convenience. Customer agrees not to remove units from site or permit the units to be removed from the site without TXWC’s expressed written consent. Customer will immediately notify TXWC and discontinue use of equipment that is or becomes unsafe or dangerous, in any respect. Customer shall provide unobstructed access to equipment on the day of servicing or removal, or be subject to a $25-75 trip charge plus fuel costs, and/or delayed service or removal. A unit is inaccessible if it is located more than twenty five (25) feet from an area accessible to a pumper truck. Customer represents that it has authority to permit TXWC to enter upon property upon which the TXWC units are located to permit TXWC to service, repair, or remove a unit, and Customer agrees to hold TXWC harmless from TXWC entry upon such real property for these purposes. Customer acknowledges that health standards require 1 unit for each 10 persons on site. It is Customer’s sole responsibility to contact TXWC to request all equipment relocations and final pick-ups. TXWC HEREBY DISCLAIMS ANY AND ALL WARRANTIES, WHETHER EXPRESS OR IMPLIED, INCLUDING MERCHANTABILITY, SUITABILITY, FITNESS FOR A PARTICULAR PURPOSE, AND QUIET ENJOYMENT. Because fuel and disposal costs constitute a significant portion of TXWC’s costs, Customer agrees that TXWC may increase its fuel surcharge and/or haul rate to adjust for any increase to TXWC’s costs. PROHIBITED WASTE AND PROPER LOADING OF CONTAINERS. Customer warrants that, unless otherwise agreed under separate written agreement, no controlled, hazardous, toxic, or radioactive wastes or substances, as defined by applicable federal, state or local laws or regulations, will be placed in waste disposal containers. Prohibited wastes include, but are not limited to: paint; tires; batteries; free liquids, sludges, industrial process and pollution control process wastes; residue, contaminated residue and residuals from chemical spills or cleanups; liquids and sludges from septic tanks, food service grease traps and commercial laundries and car washes; biomedical waste; friable asbestos; non-friable asbestos; oil filters, cathode ray tubes, acetylene tanks, and other chemical equipment, and; waste produced from dismantling or demolition of industrial process equipment contaminated with chemicals (collectively, the “Prohibited Wastes”). Customer agrees to indemnify, defend and hold TXWC harmless from any and all claims, suits, damages, penalties, citations, fines, and liabilities for injury or death to persons or damages to property or the environment, arising out of a breach of this warranty or caused by Customer’s waste containing hazardous or other prohibited waste. Customer agrees that containers shall not be overloaded by volume or weight, or above the sides of the container. If TXWC cannot service an overloaded container, a $150.00 trip fee may be charged. Additionally, Customer agrees that if TXWC must unload material from a container or third party costs are incurred to dispose of waste, the Customer will be charged for the out-of-pocket expense incurred by TXWC, plus a twenty percent (20%) handling charge for the TXWC’s time and opportunity costs. Customer agrees to indemnify or reimburse TXWC for any fees, fines, or other expenses relating overloaded containers or Prohibited Wastes found or placed in units used by Customer. Customer further agrees to pay TXWC a twenty percent (20%) fee to TXWC in addition to any such amounts of indemnity or reimbursement. Customer agrees to return all equipment furnished under this Agreement to TXWC in the same condition as delivered, subject only to normal wear and tear. Customer shall bear the risk of loss and damage to equipment. In the event of damage, other than damaged caused directly by TXWC, Customer shall pay the lesser of (a) the cost or repair, or (b) the cost of replacement in TXWC’s yard in Alvin, Texas. The cost of replacement of a standard portable toilet is agreed to be $550, which will be billed to the Customer in the event of loss. No loss or damage to equipment, in whole or in part, shall impair Customer’s payment obligations under this Agreement. This Agreement shall be effective immediately and shall continue in full force and effect until TXWC receives written notice of termination from Customer sent by certified or registered mail, return-receipt requested. Said notice shall specify the effective date of termination, which shall be no less than seven (7) days after TXWC’s receipt of said notice of termination. Termination of this Agreement shall in no way release Customer or guarantor from any sum, debt or other obligation, including any duty to defend and/or indemnify TXWC, incurred or arising prior to such termination. In the event Customer disputes any amount invoiced hereunder, Customer agrees to provide TXWC with written notification of such dispute within twenty (20) calendar days of the disputed invoice date, or else waive such dispute. Even in the event of a timely notice of dispute, Customer agrees to timely pay all undisputed amounts invoiced hereunder. If Customer fails to make any payment or perform any obligation under this Agreement or becomes in any way the subject of a bankruptcy proceeding, TXWC shall be under no obligation to furnish additional equipment or services to Customer until the default is cured and TXWC may, without penalty, legal process or notice of any kind, immediately retake possession of all of its equipment from Customer, regardless of location. TXWC shall not be liable for damage to pavements or other driving surfaces resulting from the weight of vehicles servicing the equipment location designated by Customer, nor for any damages incurred while executing Customer’s directions. In no event shall TXWC, its members, managers, employees, agents, attorneys, insurers, affiliates, successors, or assigns be liable for: i) any claim, loss, damage or expense of any kind (including strict liability in tort) arising out of or related to the ownership, selection, possession, lease, operation, control, use, maintenance, delivery or return of the equipment; ii) incidental, indirect, special or consequential damages (including loss of profits or production), whether suffered by Customer or any third party, no matter the cause; or, iii) any amount in excess of the amount TXWC receives from Customer as payment under this Agreement. Customer agrees to defend, indemnify and hold TXWC harmless from and against any and all claims, actions, suits, costs, expenses (including attorney’s fees), damages and liabilities for injury or death to persons or loss or damage to property, arising out of or related to the equipment or services furnished under this Agreement, including costs, expenses, and attorney’s fees incurred by TXWC in an action, claim, or suit to enforce or prosecute Customer’s obligations under this provision or Agreement. This Agreement shall be governed by the laws of the State of Texas. There shall be no presumption or inference against the party drafting this Agreement in construing or interpreting its provisions. Any provision of this Agreement, or portion thereof, held to be void or unenforceable under applicable law, shall be deemed stricken and all other provisions, as well as the other portions of the provision at issue shall continue to be valid and binding on the parties. This Agreement constitutes the entire agreement between the parties with regard to its subject matter, superseding all prior negotiations and agreements, and shall not be amended, altered or changed except in writing signed by both parties.